We were quite impressed to find a resolution gain that it is quantifiable in 1080p 960fps Full HD mode slow motion that is greater than previously thought. It is still not true 1080p quality but it is slightly higher from 720p which in turn makes this XZ2 Phone the best 960fps phone out there for quality. The Galaxy S9 is close behind but with a severe aliasing increase by reducing the data captured. If you go by recording time both phones are essentially identical at 720p at 0.2 seconds which makes it an easy decision to get the Galaxy S9 and S9+ because it offers 4k 60p and 240fps 1080p recording which the Sony skips all-together. However, the Xperia XZ2 has the edge at 1080p recording in 960fps since the Galaxy has only 720p. If that is enough of a spec for you at 0.1 seconds which is only 3.2 seconds of playback in a 30p timeline then this is the phone for you. We still find it severely limiting. In 4k HDR Sony is upping the ante in video quality for a smartphone in 4k 30p which judging from the samples show that this phone is probably the best 4k video footage capable handset ever produced. The sheer amount of dynamic range and crisp detail make the iPhone X, 8 and S9 take second place here. If 30p and HDR are your goals for a video taking experience on your phone the Xperia XZ2 is as of now the best choice out there. If you want 4k 60p then you need to look elsewhere and skip the Sony. We are impressed by the HDR video quality but it is just one feature that can be sidestepped for the benefits other video phones allow; like higher frame rates in 4k and 1080p that record continuously and the excellent design those phones offer compared to the less than well received one on the Xperia XZ2. Sony is the leader in mobile sensors and the Xperia XZ2 does showcase that technology edge with HDR; which means that other handsets will be able to shoot like this very soon including the iPhone refresh later this year and possibly a Galaxy Note release by winter time. Previous PostGalaxy S9 Slow Motion Samples 960fps!Next PostSlow Motion News March 2018! The 960 fps footage makes me look forward to which other camera’s will be released this year. Because I agree that 0,1 second recording time is very limited. The Sony RX100 should get an update considering the fact that the former versions got an update every year but there are no rumors about a new version yet. Sony should bring out the guns by NAB in April. We’ll know more as the date approaches. 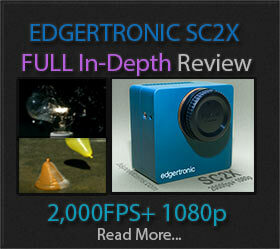 We expect better 480p resolution and maybe an increase at 1000p. I still can’t understand why Sony is not including lower framerates. A few seconds at 480fps would have been a big selling point. Sold my XZ Premium after a week because the 0.2 seconds recording time was useless. Now Samsung repeated this mistake. I rather have the well implemented 720p240 on my iPhone 7+ until something usable surfaces. Agreed, seems Sony and others just want to protect higher-end cameras from seeming obsolete. If a phone can do good resolution 480fps then they have to jump the spec on their better cameras. It will happen just that sensor technology is easier to implement on phones than on larger sensors. I am just wondering, how would mobile phones 960fps compare with Sony’s RX100 V or RX0 in terms of the quality, resolution and duration? Would you be able to do a comparison on them? No phone so far has matched the RX series quality, they loose too much resolution and have limited rec time. The RX100 V and RX 10 IV are the best for low budget now. See our camera guide. thank you for the quick reply. 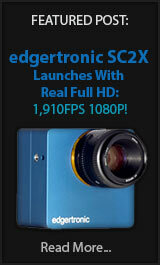 That will eliminate my thoughts of buying a camera phone with 960fps shooting mode. !